You may have done some research on obtaining a loan to find that your credit score is not up to par. This low credit score is putting you at a disadvantage for obtaining a loan at all, let alone one with a good interest rate. You are not alone. Millions of others have this issue as well. This article will give you some advice on how to rebuild your credit score so that you will be back on track to obtaining a construction loan in no time. The absolute first thing you must do to improve your credit score is to identify the area of your credit score that is contributing most negatively to your credit score. Payment history is, hands down, the most important consideration for any credit score. It accounts for 35% of your credit rating, so be sure to focus on making timely payments if that is an area you struggle with. If not, credit utilization may be the problem, as that accounts for 30% of your credit score. If this is the case, you may want to reassess your budget by doing a ratio analysis, so that you can make larger payments to your credit cards. Finally, credit history, or the amount of time you have had open credit accounts, accounts for just 15% of your credit rating, thankfully, as there is not much you can do to improve this area. 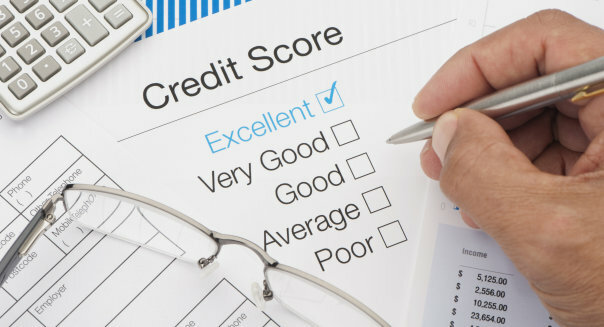 Look at these three key areas when determining how to fix credit scores. First and foremost – pay off any and all balances on your present credit cards. This is probably the number one contributor to your poor credit score. While you don’t have to pay off your entire balance to increase your score considerably, it is still important to note that the lower your usage, the better your score. You do not need to know the factoring rules to figure this one out. If you are able to, make sure to pay back considerably more than the minimum payment. This will speed up the process of paying off your balances and make it cheaper for you in the long run. Once you pay off any remaining balances you will increase your credit score significantly which will increase your odds of getting a loan with a good interest rate. Once you pay off your credit balances, be sure to keep them low. Credit utilization has a huge impact on your overall credit score. That is why you should aim to keep balances to no more than 30% of your overall credit. The lower your credit utilization, the better your credit score. Remember this to keep you motivated once you pay off all your credit cards. It will guarantee that you actually properly rebuild credit score for the long run. Since you are probably unable to pay off your balances with one lump payment, you must remember the importance of making your payments on time every single month if you want to secure a business loan. You can score some bonus points if you are able to pay more than the minimum, but if you are not able to, that is okay. The most important factor is to ensure that no matter the amount, you are at least meeting the minimum payment on time each month. Being late on, or completely missing, one payment will do immediate harm to your credit score. As you are trying to rebuild your credit score, it is important to keep this in mind, and set reminders on your phone or computer if you need assistance in keeping track of payment dates. This may seem counter intuitive, as you are currently seeking a business loan, but in the mean time it is best to ensure no new credit inquiries are added to your history. Anytime a new inquiry is added to your account, your score takes a dip. So for now, while you are trying to rebuild your credit score, shy away from applying for any new low interest credit cards. Stay focused on paying off your current balances and living within your means. It is best to get your credit score in order now and wait until you have made improvements to apply for a loan or new credit card. This will help you to obtain loans at a better interest rate in the future. Once you have payed off any remaining balances you may think you’re out of the woods, but you’re not quite there yet. The number one difference between individuals with good credit scores and those without is the way each group thinks about credit as well as how to use it. Individuals with good credit know how to work the system to their advantage. Meanwhile, those with bad credit, like yourself, probably think of credit cards as a way to pay for things they cannot afford whether it be for an emergency or just because. If you are caught in this trap, change your way of thinking. Think of your credit cards as debit cards with rewards. It is good to use your credit card frequently and pay off the balances monthly as this will give you rewards, provided you have a card that has a rewards program. If you do this successfully, you will be getting paid to spend money you would have spent anyway. Just be sure to monitor your finances closely and keep track of spending. If you make this simple change in way of thinking you will not only rebuild your credit score now, but also ensure its vitality for years to come. This way, you can actually get approved for those quick business loans you need. Follow these tips and you will successfully rebuild your credit score in no time so that you can get the small business financing you need. The first, and most important step, is to pay off any and all current outstanding balances. While you are doing this, make sure to set reminders for payment dates on your phone or computer to ensure that you make every single payment on time. If at all possible, always pay more than the minimum and make sure to not apply for any new credit lines until you have made improvements to your score. Once you’ve done that and are ready to take the plunge to recommence your loan search, make sure to change your way of thinking about credit to ensure long-term financial health. These tips will help you to rebuild your credit score to obtain a loan, so go ahead and start improving!